First Floor 1275 sq. ft. Depth 58 ft. 0 in. 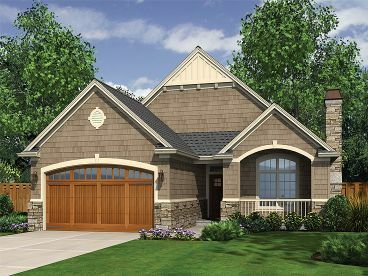 Arches accented with keystones, a mix of siding materials, a trio of roof peaks, and a covered porch stamp this small and affordable home plan with time-honored Craftsman appeal. 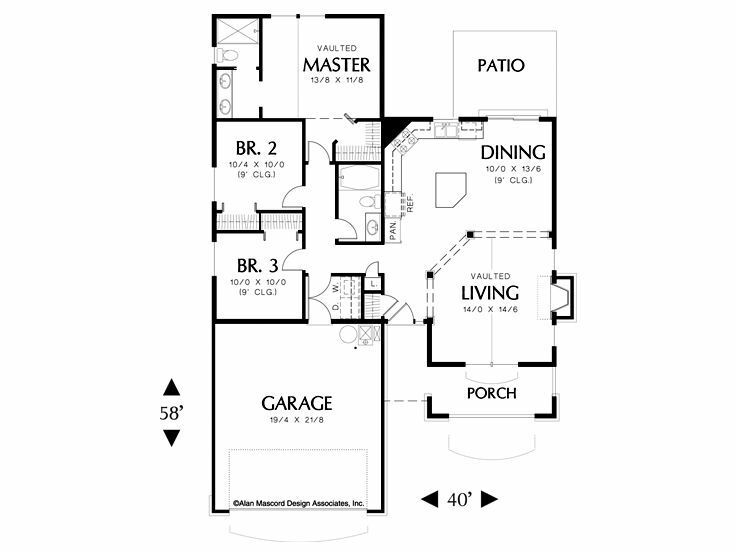 Supremely efficient and comfortable, the narrow lot floor plan links the kitchen, dining area and living room. 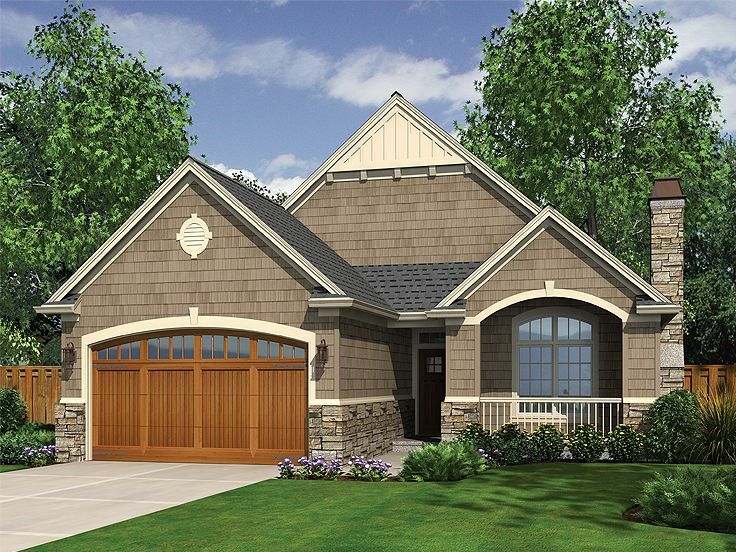 The open layout works well for day-to-day family life and also for entertaining. 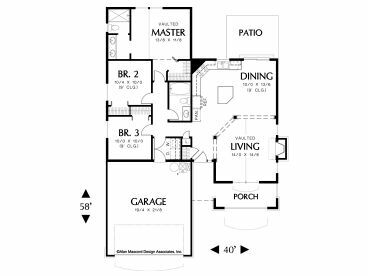 A meal-prep island, built-in pantry and immediate access to the rear patio make meal time efficient whether cooking indoors or grilling out. Notice the vaulted ceiling and the series of columns defining the living room. A fireplace adds cozy warmth. 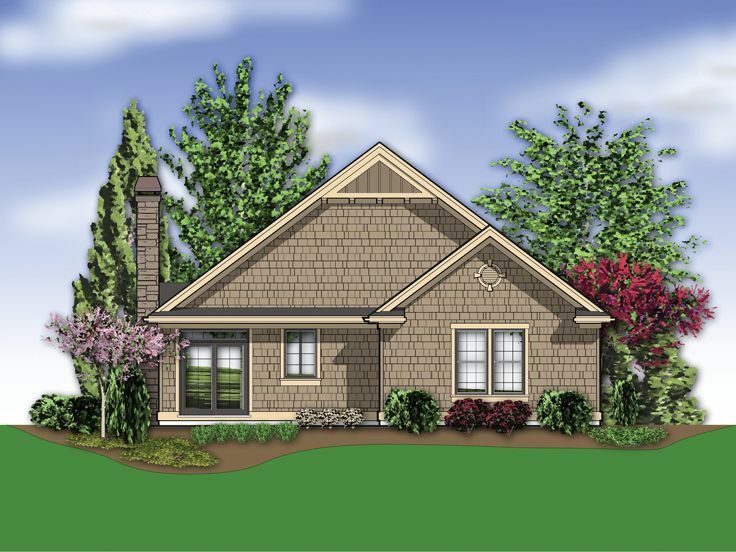 In the left wing of the home, the master suite, two additional bedrooms, a bath, and the laundry room are aligned along a central hall. Complete with a 2-car garage, this budget conscious ranch house plan works well as a starter home and accommodates empty nesters as well.